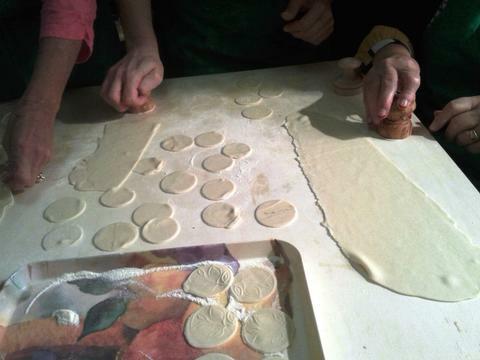 Anna is glad to invite you in her private kitchen and teach you the secrets of a simple but savoury cuisine like the ligurian one. 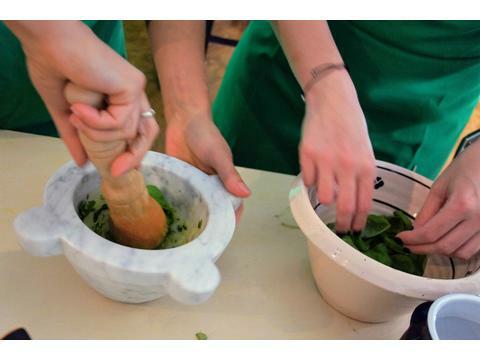 You will be shown the tricks how to make the popular pesto sauce in a real mortar, or how to roll out a thin sheet of pasta by using the rolling pin, two important leading processes to a delicious dish such as "Lasagne al Pesto". 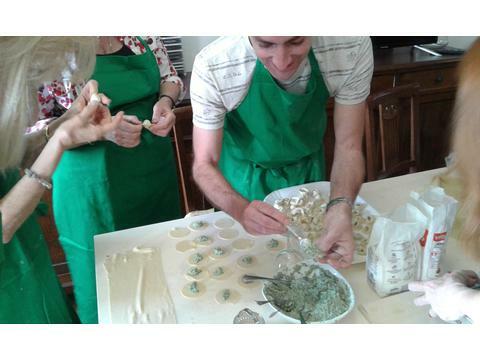 But Ligurian cuisine doesn't mean only that, Anna will teach you how to prepare and bake fresh and stuffed vegetables, or vegetables pies, or focaccia with olive oil genoese style, or even more how to prepare stuffed ravioli or "pansotti" with their own tipycal sauces. 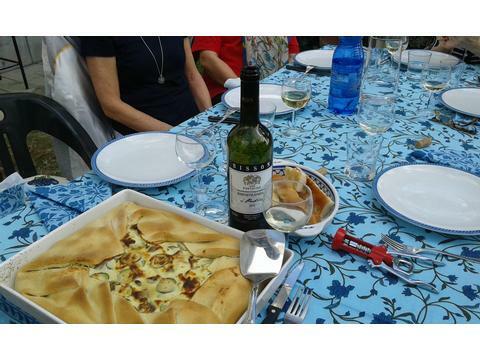 Local wine is also served as aperitif after the class just to give a happy ending to the effort of cooking together and a good start to the meal served shortly after. Anna's kitchen and private house is strategically located on the enchanting hills overlooking the gulf of Tigullio, more known as Portofino's area. From Anna's garden you will enjoy a beautiful view over the sea on the sunset while having your dinner . . . what a great atmosphere an experience! 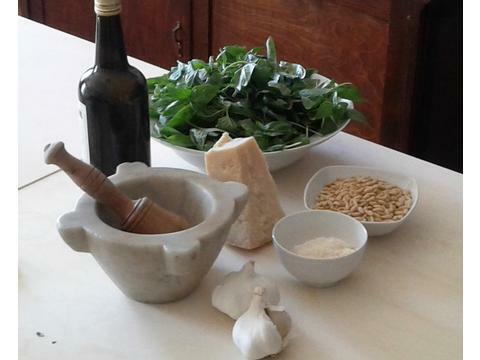 If you want to know more about that corner of Liguria, you can ask Anna to take you around for a day trip either in Genova historical city centre or around the villages of the Tigullio gulf, where you will discover the real Italian style of live, traditions, and colours of this part of Italy.